Two remarkable things unfolded last week. 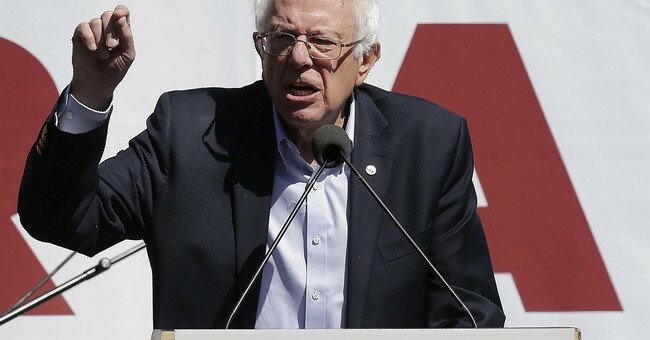 “Democratic Socialist” Vermont Sen. Bernie Sanders’ scheme for a single-payer, government-run health care system has already been endorsed by 16 Democrat senators. A similar bill introduced by Rep. John Conyers (D-Mich.) has 117 co-sponsors. The proposed law would give the federal government, alone, ultimate power over everyone’s health and thus their lives, as in socialist countries. Meanwhile, Mr. Sanders and several prominent Democrats have used congressional hearings to lay down a requirement to adhere to their anti-faith worldview or be disqualified from public positions. Both developments violate the United States Constitution. There is nothing in the nation’s founding document that gives the national government the legal power to take over one-sixth of the economy and ration medical care for everyone. To the contrary, the Tenth Amendment is designed to protect us from such a fate. The secular test, which amounts to a religious-based exclusion of Christians, is specifically prohibited by Article Six, which bars any kind of “religious test” for public office. Over the past six years, leftists have alienated millions and lost control of the White House and both houses of Congress. Their response is to double down on their un-American policies and further alienate a large bloc of voters via religious bigotry. Are Democrats so power mad that they think they can get away with this? Sen. Sanders accused Mr. Vought of religious bigotry, saying, “In my view, the statement made by Mr. Vought is indefensible, it is hateful, it is Islamophobic, and it is an insult to over a billion Muslims throughout the world.” How about the billion Christians that Sen. Sanders just equated with bigots? Last week, progressive lawmakers showed more of their disdain for Christians during the hearing for President Trump’s Seventh Circuit Court of Appeals nominee, Amy Coney Barrett, a devout Catholic who is a law professor at Notre Dame. "Whatever a religion is, it has its own dogma,” said Sen. Dianne Feinstein (D-Calif.). “The law is totally different. And I think in your case, professor, when you read your speeches, the conclusion one draws is that the dogma lives loudly within you, and that's of concern when you come to big issues that large numbers of people have fought for for years in this country." (ADF), a wonderful Christian attorneys group that litigates religious freedom cases and whose leaders I know personally. The absurd “hate” designation for ADF comes courtesy of a truly hate-filled group, the Southern Poverty Law Center (SPLC), an Alabama-based leftist legal outfit that lumps mainstream Christian organizations in with violent extremist groups such as the Ku Klux Klan and skinheads. ADF, along with other Christian groups such as the American Family Association, got tagged by the SPLC as haters for supporting natural marriage and God’s plan for sexual morality. In August 2012, a young man poisoned by the SPLC’s hate of Christians tried to commit mass murder at the Family Research Council. He was stopped by a courageous guard who took a bullet, and he was later convicted of domestic terrorism. He told the FBI that he chose to attack the Family Research Council because it was on the SPLC’s “hate map,” complete with address. To this day, the SPLC has refused to take it down. D. James Kennedy Ministries, one of the many Christian groups smeared by the SPLC, is finally fighting back with a defamation lawsuit. The group took the action after being tagged as a “hate” group by the charitable group index GuideStar, based on the SPLC’s labeling of them. We need far more pushback against the tide of anti-Christian bigotry that is growing in the halls of Congress and elsewhere. If not, Christians will find themselves worse off than India’s subclass of “Untouchables” or black Americans under the Democrats’ Jim Crow system.